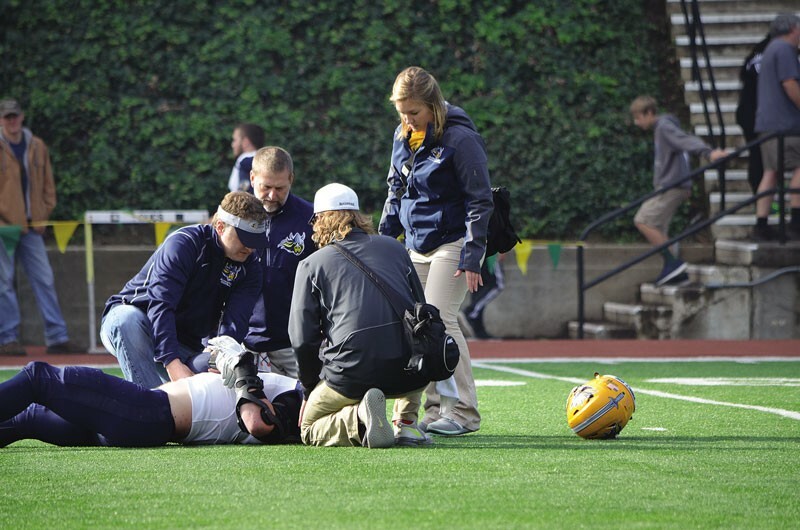 Trainers attend to an injured Augustana University football player in the round one playoff game at Redwood Bowl in 2015. Researchers are beginning to equate playing — and studying — with a concussion to running on a sprained ankle, and are recommending immediate rest upon signs of a brain injury. North Coast Concussion Program Coordinator Beth Larson said she wasn’t particularly surprised to see the groundbreaking study released last week in the Journal of the American Medical Association finding that 110 out of 111 brains of deceased NFL players were found to have chronic traumatic encephalopathy, the degenerative disease believed to be caused by repeated blows to the head. The study is groundbreaking in its breadth but Larson said there’s nothing terribly surprising about the results. North Coast Concussion Program Coordinator Beth Larson. The study dissected the brains of the deceased NFL players to look for signs of CTE and an article in the New York Times concedes there is an inherent selection bias in the study. Because CTE is only detectable through brain dissections, the study only looked at brains from players and families that wanted them studied, often because they’d noted CTE symptoms. But if you consider that about 1,300 former NFL players have died since the time the researchers began this study, that still puts the number of CTE cases at about 9 percent — much higher than the rates in the general population. And Larson points out that these men didn’t get CTE because they played professional football — they got it because of an accumulation of head trauma that began at an early age. 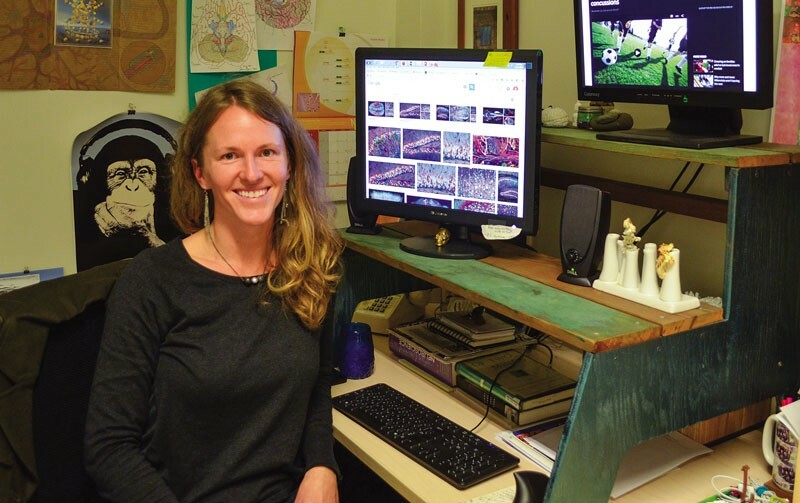 Larson, whose program at Humboldt State University studies concussions in the university’s student athletes and works to raise concussion awareness in local high school athletics, said data from the Boston University study adds to a growing body that makes it increasingly difficult to logically dismiss CTE as a large concern. But she said people often look at football through an emotional lens that’s hard to puncture. And that emotional response poses a challenge to the efforts of Larson and others to raise awareness and implement concussion protocols in local sports. For her part, Larson said it’s important not to look at it from a tribal perspective that states football is inherently good or bad, but from a logically based effort to find middle ground. For more on the study, see this interactive New York Times story here, which includes a link to the study and images of the brains studied. And for more on Larson and the groundbreaking North Coast Concussion Program, see our award-winning story from 2015 here.